Chandler with Hana and a friend at Comic Con FanX. Hana gepostet this on her Ask.fm. 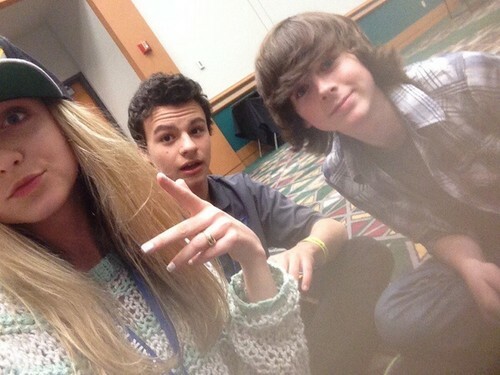 Wallpaper and background images in the Chandler Riggs club tagged: photo chandler riggs 2014 selfie hana hayes ask.fm.